Drum and movement ensemble Katumba is preparing to open a ‘cultural hub’ in Toxteth. The space will host rehearsals and classes as well as a year-round programme of events with guest artists and collaborators. Katumba, which was established by co-directors Juliana Landim and Ritchie Tunstall, has self-funded the refurbishment of the venue on a shoe string budget under its umbrella not-for-profit social enterprise BrazUKa International. 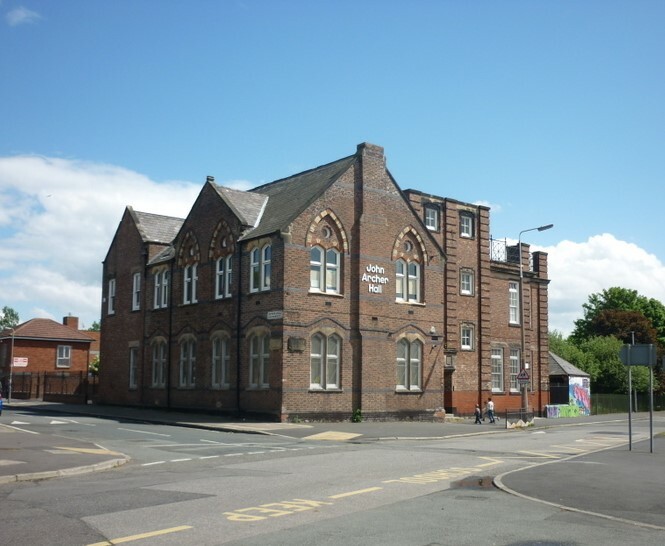 It’s housed within the 150-year-old John Archer Hall on Upper Hill Street, off Windsor Street, which is part of the Toxteth TV initiative, and will launch on 24 November with a community event featuring free family activities, performances, workshops and raffles. The cultural hub will open within Toxteth TV’s John Archer Hall. Ritchie, Katumba’s artistic and musical director, adds: “For over 10 years we have dreamed of having our own space, where we can combine our unique form of drumming and movement with other arts and community building activities. To finally be here is very exciting! “Toxteth has always been my favourite area of Liverpool and to be situated right in its heart, near to our home, is a great opportunity for both Katumba and the people that live around us. Dance and yoga sessions are among the classes to be held at the base, which will also provide a rehearsal and recording space for musicians and other art forms. The launch event later this month will open to the public at 2pm with workshops for adults and children, and at 3pm Princes Park ward’s Councillor Anna Rothery will officially open the space. A variety of performances and additional workshops will follow.